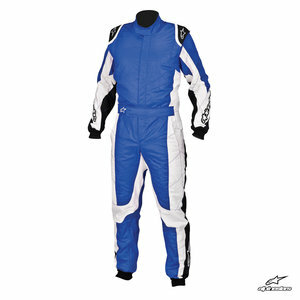 The new 2013 Alpinestars GP Tech race suit, re-designed for the new season. 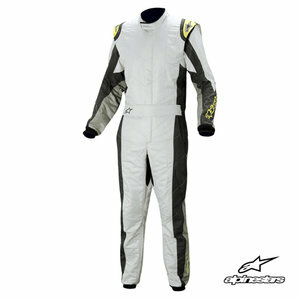 This latest suit features an ultralight 285g/m², 3 layer Nomex construction, with highly breathable fabric inserts. 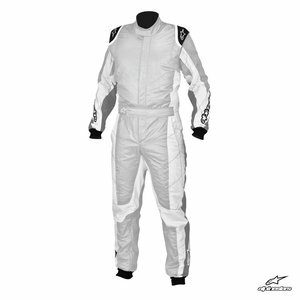 The suit now fits even more closely and offers increased comfort levels, with temperature regulation and moisture wicking abilities as standard. Up top we now see fully floating, pre-shaped arms and reduced armpit material for increased comfort and reduced bunching. 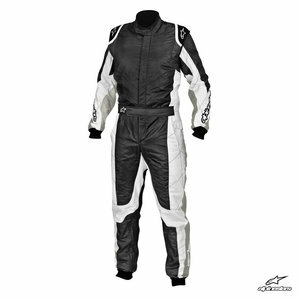 The stretch panels in the back, lumbar, crotch and knee areas improve freedom of movement and the pre-shaping extends to the legs for optimum driving ergonomics. The soft neck collar ensures comfort under your helmet and the HANS friendly epaulettes round off this stylish new design.